The shed hunting craze is at full throttle. 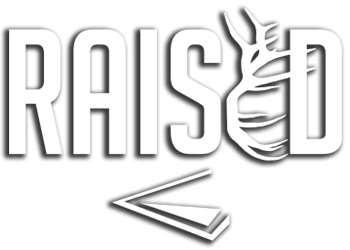 Come mid-March the majority of deer have shed, and the white gold left behind is up for grabs. 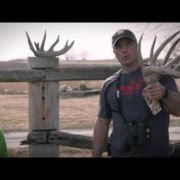 When you look for deer sheds in certain habitat and topography, such as food plots, open timber, and large fields, it is fairly easy with enough eyes looking for white gold to find the majority of the sheds. However, some habitats such as thick timber and corn fields are some of the hardest areas to shed hunt in. 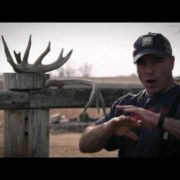 Unfortunately, these are some of the best places to find deer sheds. While it might be impossible for us to find a shed in a corn field, using a dog to find sheds could be the ticket. 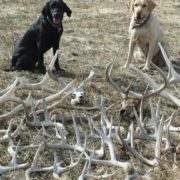 How effective can a shed dog be at finding deer sheds? How many more sheds does a shed dog find than just you or a couple of friends? What habitats do shed dogs excel in finding sheds, what habitats are they not so effective in? How easy is shed dog training? 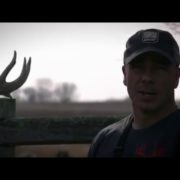 With the addition of Dan to the Holder family, Raised Hunting discusses using a shed dog and addresses these questions. Part of this discussion focuses on how effective a shed dog can be in certain habitats, and other considerations to think about when considering using a shed dog when you shed hunt this year. Shed dog training starts with small steps. From indoor training to finding sheds on their own, dog training requires patience. 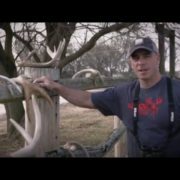 To start you could use expert training tips and techniques, including a step by step guide for training dogs to find sheds. These include shed dog training kits from Dog Bone™. 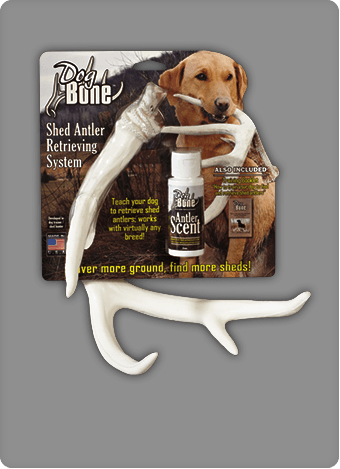 The Dog Bone™ Shed Antler Retrieving System allows you to teach your dog how to retrieve sheds by supplying not only information and a step by step process but the shape and smell of a shed antler. This shed dog training kit allows you to train gun/bird dogs or brand new pups.